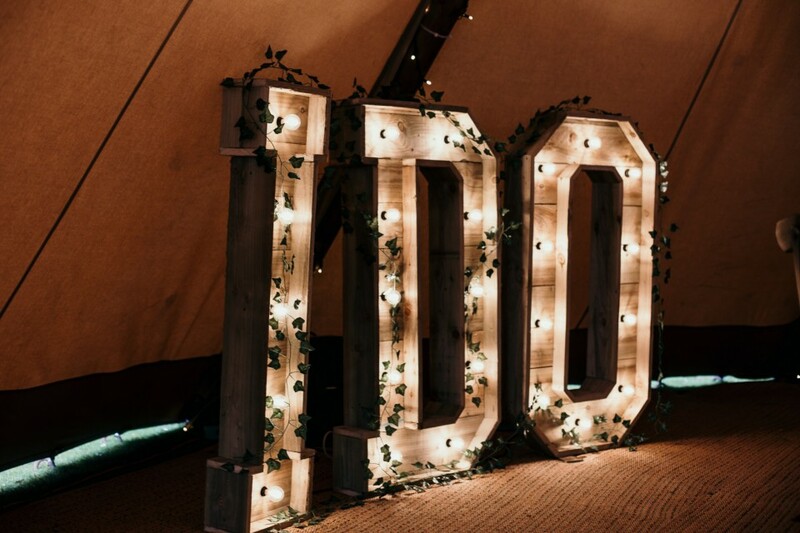 Hire our beautiful Wedding Decor across Yorkshire, including Large Light Up Letters in a variety of styles, Large floral Letters, Flower Walls, Backdrops and Neon Signs. We have been providing the best quality Wedding decor to venues across Yorkshire for the last two years - from North to South, and East to West, we cover York, Leeds, Sheffield, Hull and everyone in between! Our catalogue of Products suit all different venue types - from Industrial style venues such as 92 Burton Raod in Sheffield, to Grand Classic's like Oulton Hall, Leeds, and Fun-loving tipis from the guys at Garden Weddings (based in Barnsley), our Neon Signs and Rustic style light up letters have looked right at home in them all!